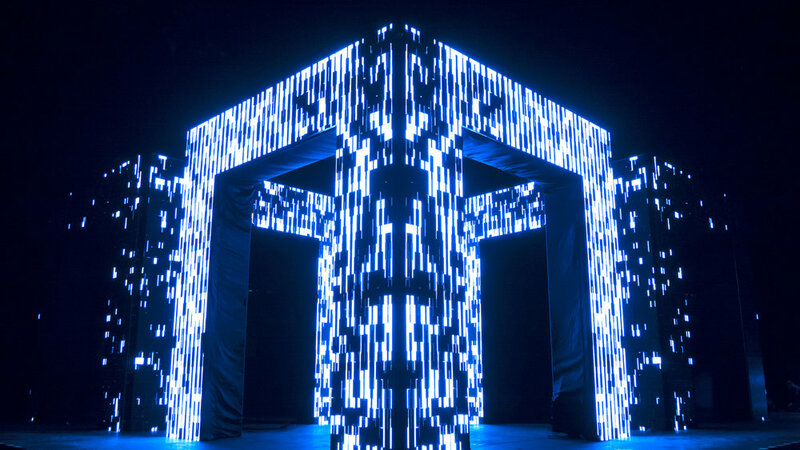 Axiom is an edifice of light, sculpted from a matrix of more than 700,000 LEDs. 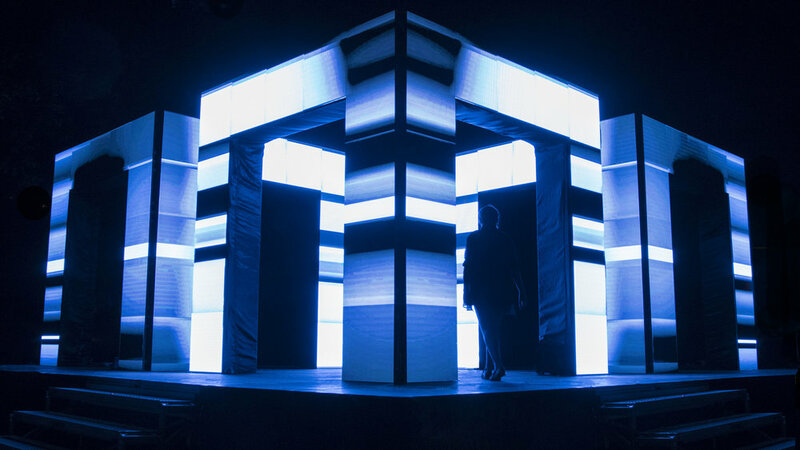 Emerging as three symmetrically aligned archways, the installation presents a canvas for a series of video animations designed to embody and envelop its surfaces and contours. Within Axiom exists a transition between form and illumination; the intent being to cause the observer to reconsider what is virtual and what is actual. The animations and synchronised soundscapes provide an evolving syncopated framework, moving from meditative pulsations to rapid percussions, enhanced by hypnotic musical overtones. As these audiovisual arrangements gradually unfold throughout the work, the elements of light, sound, space and time are explored, anatomised and re-invented. This contortion of multiple compositional and choreographic techniques illustrates a consideration and deconstruction of materiality, with the objective of rebuilding it in an alternate mode. 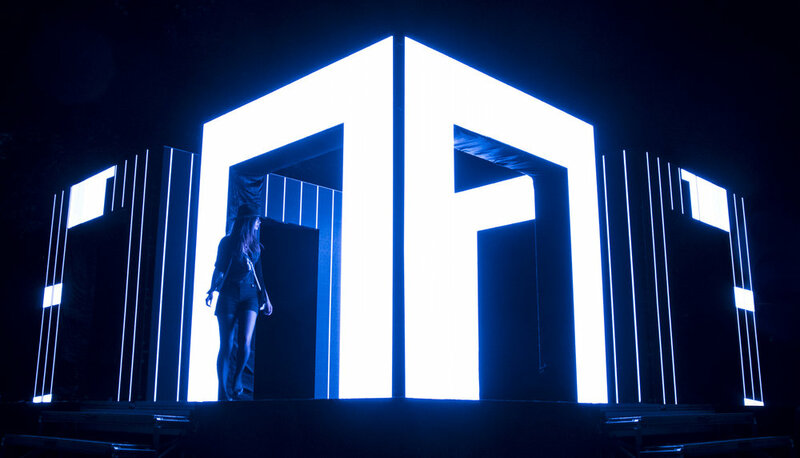 Axiom breaks conventions by harnessing and re-appropriating the power of cutting-edge event technologies, software systems and construction techniques to evoke a new form of non-linear experiential response.